Eddie "Guitar Slim" Jones (December 10, 1926 ? 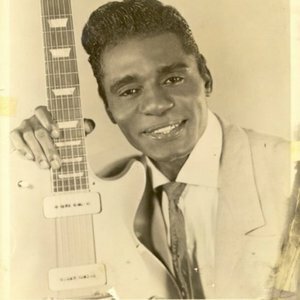 February 7, 1959) is a New Orleans blues guitar player from the 1940s and 1950s best known for the million-selling song produced by Johnny Vincent at Specialty Records, "The Things That I Used to Do", a song that is listed in The Rock and Roll Hall of Fame's 500 Songs that Shaped Rock and Roll. Jones was born in Greenwood, Mississippi, USA. His mother died when he was five, so his grandmother raised him and he spent his teen years in the cotton fields. Jones was born in Greenwood, Mississippi, USA. His mother died when he was five, so his grandmother raised him and he spent his teen years in the cotton fields. He spent his free time at the local juke joints and starting sitting in as a singer or dancer; he was good enough to be nicknamed "Limber Legs". After returning from World War II military service, he started playing clubs around New Orleans, Louisiana. Bandleader Willie Warren had introduced him to the guitar, and he was particularly influenced by T-Bone Walker and Clarence "Gatemouth" Brown. About 1950 he adopted the stage name "Guitar Slim" and started becoming known for his wild stage act. He wore bright-colored suits and dyed his hair to match them, had an assistant follow him around the audience with up to 350 feet of cord between amplifier and guitar, and would occasionally get up on his assistant's shoulders, or even take his guitar outside the club and bring traffic to a stop. His sound was just as unusual ? he was playing with distorted guitar more than a decade before rock guitarists did the same, and his gospel-influenced vocals were easily identifiable. He got together with Muddy Waters in Los Angeles for some lively playing. His first recording session was in 1951, and he had a minor rhythm and blues hit in 1952 with "Feelin' Sad", which Ray Charles liked enough to cover, and also to play on Slim's later recordings. "A devil and angel fought each other with their own sets of lyrics. Of course, being a blues song, the devil's lyrics had won out." The song was released on Art Rupe's Specialty Records label. The New Orleans swampy feeling and utilizing church-sounding chords,it was a stunning song and instantly went to the top of the charts nationwide. The song spent weeks at number one on the R&B charts and sold over a million copies, soon becoming a blues standard. The tour made on the strength of this song sold out a week of dates at the Apollo Theater, something even Sammy Davis, Jr. wasn't able to do. Slim was a great drinker and a womanizer; he missed some 1954 tour dates due to a car accident involving alcohol, and he was often said to have a different woman with him every night. He continued to write and tour, and had some other hits such as "It Hurts To Love Someone" and "Down Through The Years," but nothing at the level of "The Things That I Used To Do." He recorded on many labels, including Delmark Records and Specialty Records. American rock musician Frank Zappa cited Guitar Slim as a major influence on his style of guitar playing. Buddy Guy was highly influenced by Guitar Slim, especially by his stage performances. Albert Collins names Guitar Slim as one of his most important sources of inspiration. Also Stevie Ray Vaughan recorded a cover version of "The Things That I Used to Do".